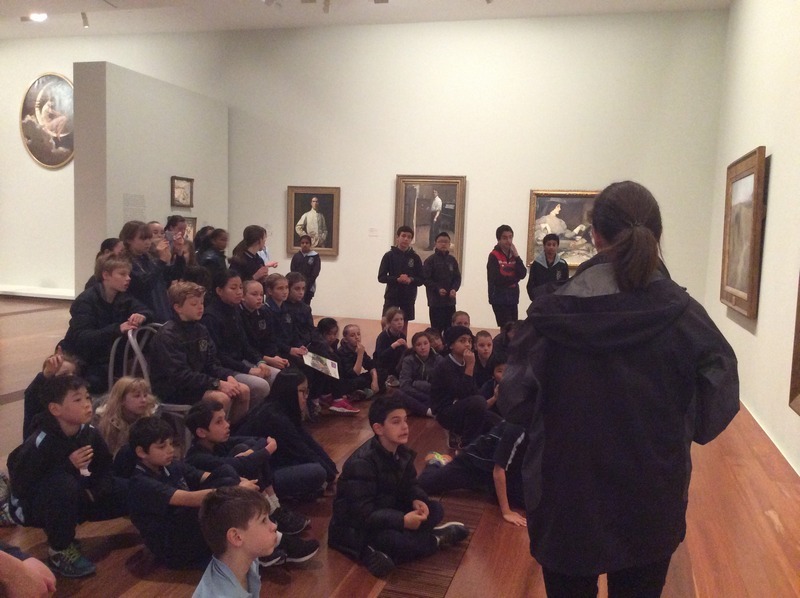 Last week, the Year 5 and 6 students saw Melbourne through new eyes – Year 5 teacher, Alex Schifter, tells how. 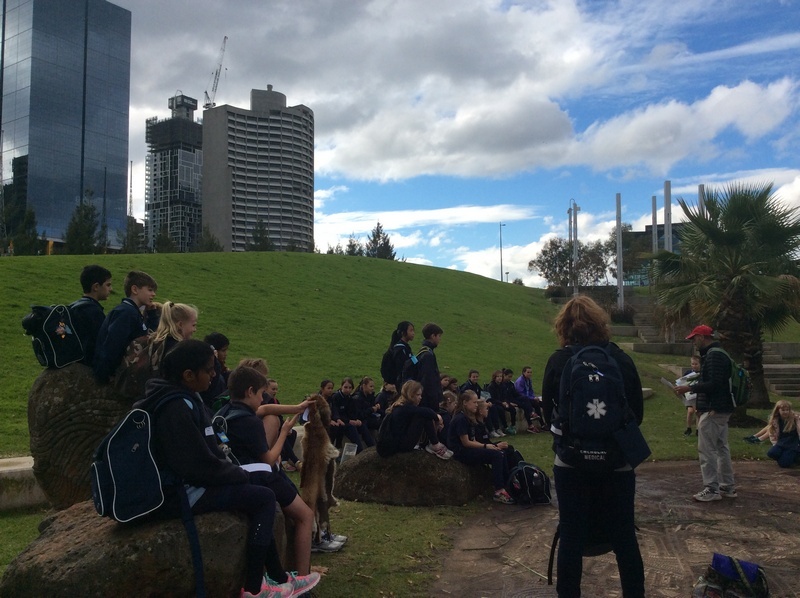 Last week, the Year 5 and 6 students traveled into the city to become explorers for a day as part of our History Inquiry unit. We have been looking at the Colonial period of Australian history and exploring how history can be told from different perspectives. 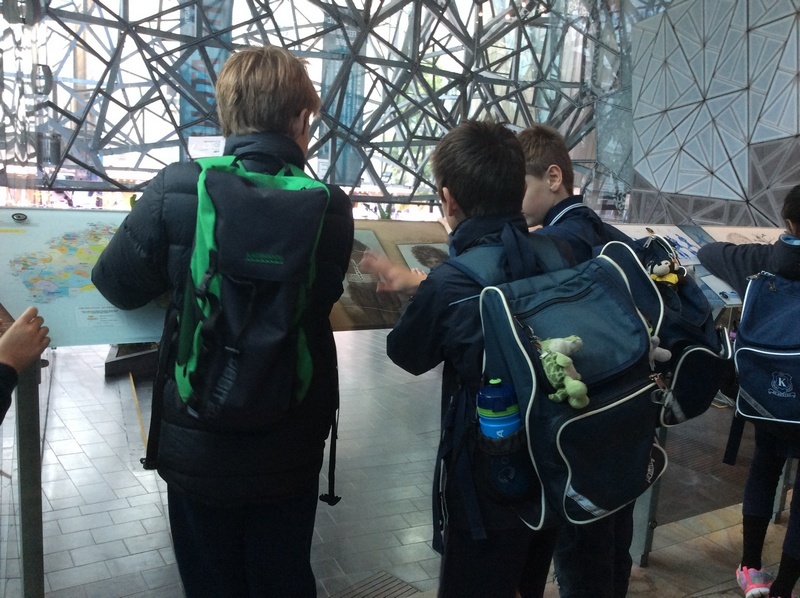 We spent most of our time at Federation Square and Birrarung Marr – the perfect locations to immerse ourselves in what we have been learning about! We split into two groups and embarked upon an action-packed day. While half of the students visited the Federation Story Timeline in the Square and had a chance to wander the marvelous Australian Art exhibits at The Ian Potter Centre, the other half of us got to use our five senses during a guided Melbourne Walks tour of the city. While doing the walk, each student took on the identity of an Australian explorer, such as John Batman, and got to walk in their shoes. We were able to taste some of the foods they would have eaten, walk some of the tracks they laid, see some of the sights they saw, touch some of the tools they used and hear their stories. It was a fantastic way for the children to gain some first-hand insights into the challenges of the Colonial era. The students had an excellent time, learned a great deal and represented KPS beautifully. The day was a huge success that could not have happened without the help of our fantastic parents – a huge thank you to those of you who gave up your time to come with us! This entry was posted in Students and tagged Aboriginal History, excursion, Grade 5, Grade 6, history by Kate W. Bookmark the permalink.